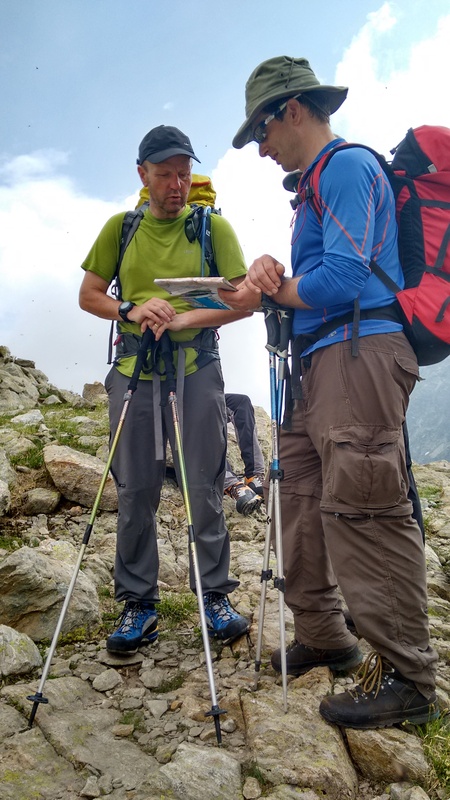 The overall aim of the expedition was designed to introduce and develop overseas leadership skills for adult volunteer staff by participation in a real ‘expedition situation’ where they are the participants. Each day was spent in the mountains developing technical, journeying and leadership skills in a demanding high alpine environment. The area chosen was the Alpes Maritimes in southern France [Mercantour National Park]. This is a little known high alpine environment just north of Nice. Easy access and a fantastic compact network of peaks and mountain refuges makes this an ideal place to develop alpine mountaineering skills and test leadership. We had 6 Cadet Force Adult Volunteers and 2 staff from as far north as Inverness and as far south as Devon. All these individuals were interested in enrolling on the International Mountain Leader [IML] scheme and this exercise was to introduce them to the additional complexities of leadership, terrain, weather and technical skills demanded of a leader when operating with cadets in a potentially hostile environment. All participants were experienced UK Summer Mountain Leader Award holders with an interest in developing their own future overseas ventures. This minimum level of experience was a pre-requisite due to the nature of the terrain and the mental demands of the leadership tasks and group management they would be undertaking in-country. This type of staff development venture had not been tried before within the Air Training Corps [ATC] and it required individuals to operate and perform at altitudes up to 3000m each day in a physically demanding environment. We were in France for 6 days in total. Each day was spent in the mountains with an early start to avoid the mid afternoon thunderstorms due to the high local temperatures. Days were a mixture of activity and 2 members per day were tasked with putting a plan together for each day as ‘day leaders’. This involved researching the route[s], weather forecast interpretation, risk assessment and then briefing the rest of the group. Out on the ground they were responsible for leadership, navigation, route finding and group management. They were able to discuss options and be guided by our 2 fully qualified IMLs. The activity and leadership tasks were formally reviewed daily and discussed by the group to pick out specific areas that went well and areas for development. This reflective practice approach was a feature of the week. Candidates also kept a learning journal. We found this model worked extremely well with benefits of participation in leadership roles and planning tasks giving increased levels of personal confidence, motivation, self-discipline and specifically improving participants awareness and knowledge of the high alpine environment. 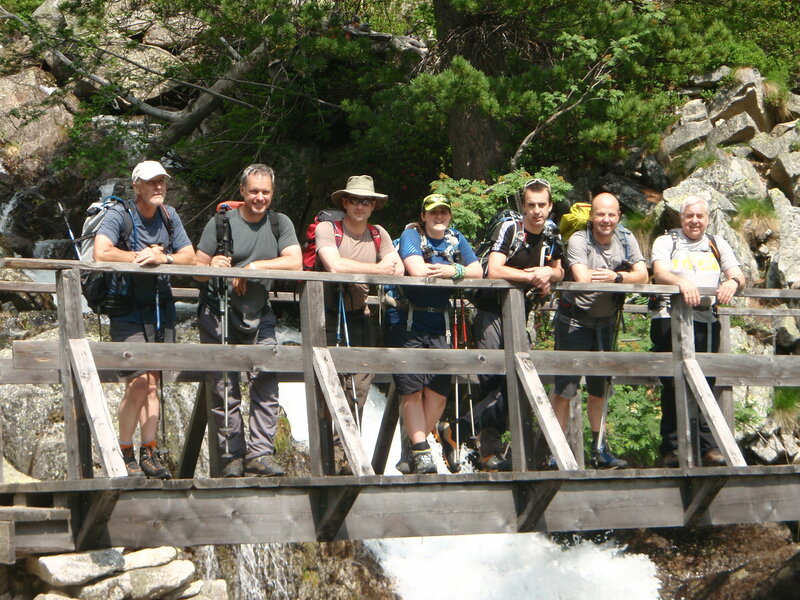 There was no doubt that the participants found the week challenging in many different ways. 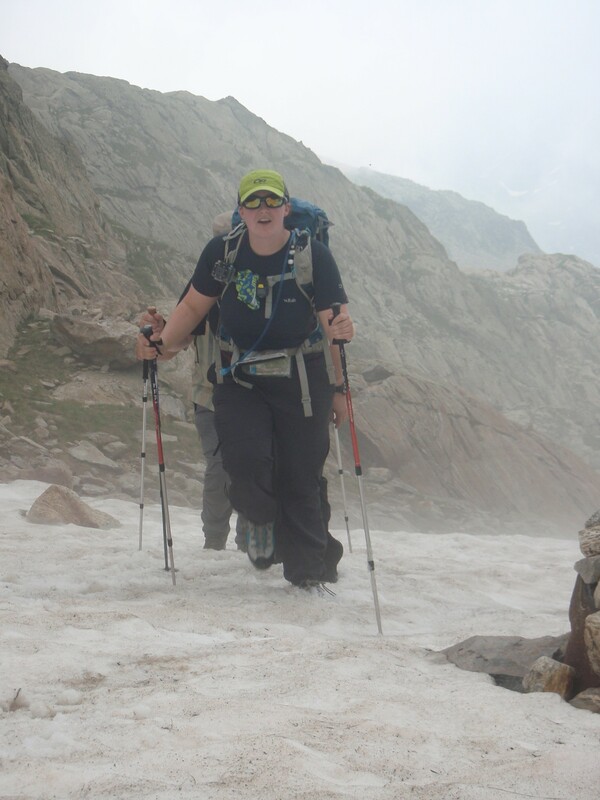 We were challenged by the heat, the physical demands of the 1000m plus daily ascents, the physical environment [boulders, scree, steep ground etc.] and the psychological demands of operating in a remote situation, at altitude and far from immediate help. One particular day that stood out as both a physical and mental challenge was our venture onto ‘fixed equipment ’. This is a peculiar alpine situation where some difficult passages on steep sections of terrain contain cables, chains and even metal rungs to aid progress. These can be quite daunting and also physically demanding. We spent part of one mountain day looking at techniques and methods to protect groups and individuals in this context. 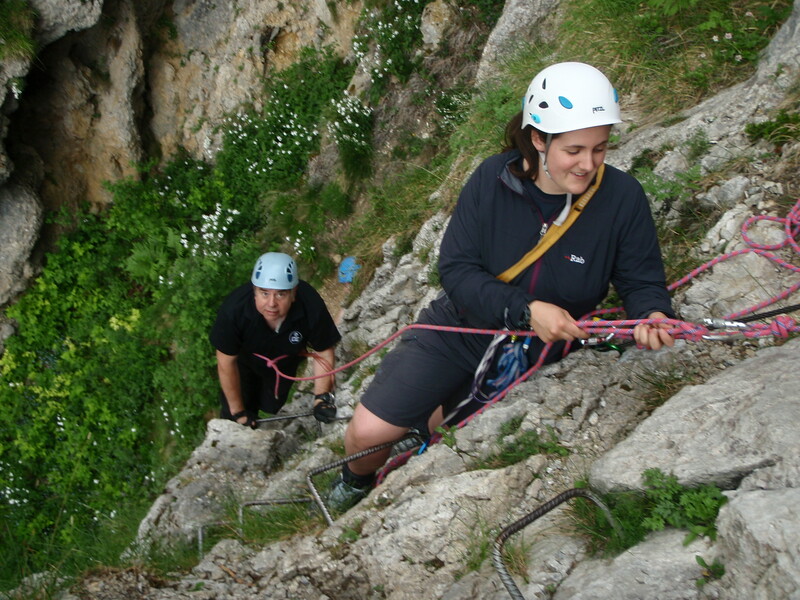 Everyone particularly enjoyed this as it opened up the possibilities of more adventurous route options being chosen with the confidence to manage them safely and appropriately. Our aims and objectives for this visit were met in full and in my case as the organiser far exceeded my expectations. Participants definitely stretched their personal comfort zones both physically and mentally. One specific objective which was to enhance participants personal motivation, experience and skill set in such a way as to inspire them to share their values and knowledge with cadet groups on future trips was definitely met. Pilot Officer Norman Wakeman 163 (Coventry Phoenix) Squadron commented ‘The week has been a real learning curve – it had taken what I do as part of my Mountain Leader Award and built upon it massively, having been on the visit this week has really supported me in having the tools to be able to deliver overseas expeditions successfully’. Flight Sergeant Hannah Williams [ATC] City of Preston Sqn. added ‘The Introduction to International Mountain Leader visit helped me to decide whether the IML was going to be possible for me… It has given me confidence as well as information to enable me to organise overseas trips for the cadets and most importantly, given me contacts of other like-minded people going through it like me who I can talk to and potentially work with to gain the award’. I would like to thank the Ulysses Trust and the RAF Charitable Trust for their support with this expedition and the opportunities it provided to develop the knowledge and skills of the participating ACO staff.